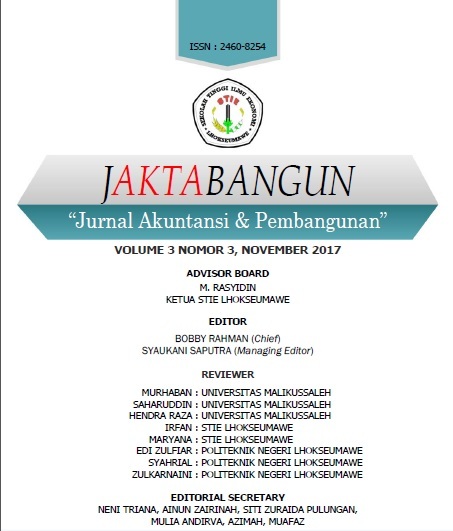 This study aims to examine the influence of internal control system of government and understanding of accounting information system to financial performance at North Aceh District Office and Government Agency. Data used in this research is primary data by dividing questionnaire to 104 employees as sample of research. Data processing is done through multiple linear equations model. The results showed that: Partially, the government's internal control system significantly influences the financial performance at North Aceh District Office and Government Agency. Understanding of accounting information system has a significant effect on financial performance at North Aceh District Office and Government Agency. Simultaneously, the government's internal control system and the understanding of accounting information system have a significant effect on financial performance at North Aceh District Office and Government Agency. The government's internal control system and the understanding of accounting information systems have a very strong relationship with the financial performance at North Aceh District Office and Government Agency. The government's internal control system and the understanding of the accounting information system have the ability to explain the impact on financial performance at North Aceh District Office and Government Agency of 77.9%. While the rest is influenced by other variables outside this research model.